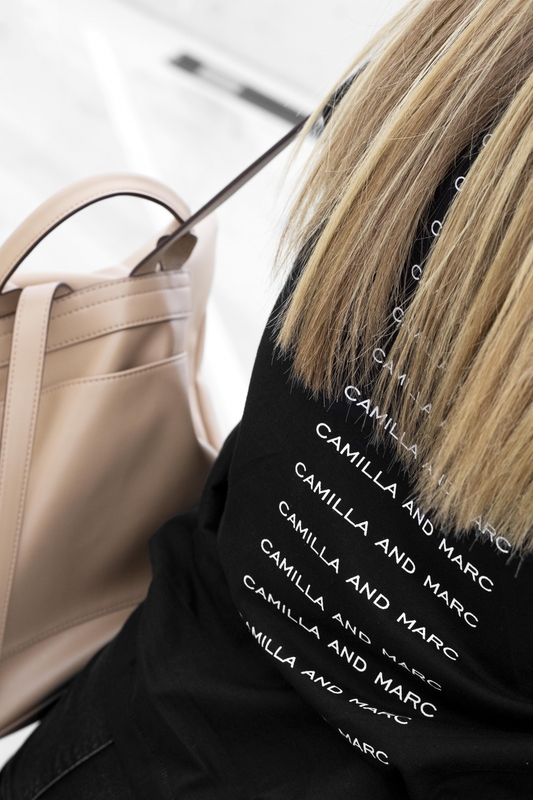 C&M GEORGE TEE, ABRAND JEANS, DKNY TILLY MEDIUM LOGO BACKPACK, A.EMERY LOLA SANDAL. It’s no secret that I love to wear black; it’s slimming, it doesn’t stain, and it goes with pretty much everything. But whenever I’m putting an outfit together, I tend to stay away from styling black on black – until now. Now that I’m a Melbournian, knowing how to put together an all black look is pretty much essential – almost as essential as learning the art of layering (it’s currently 9°). And while I’m still adding some muted tones – like this DKNY backpack – to break things up, I’m pretty confident I have it down pat. 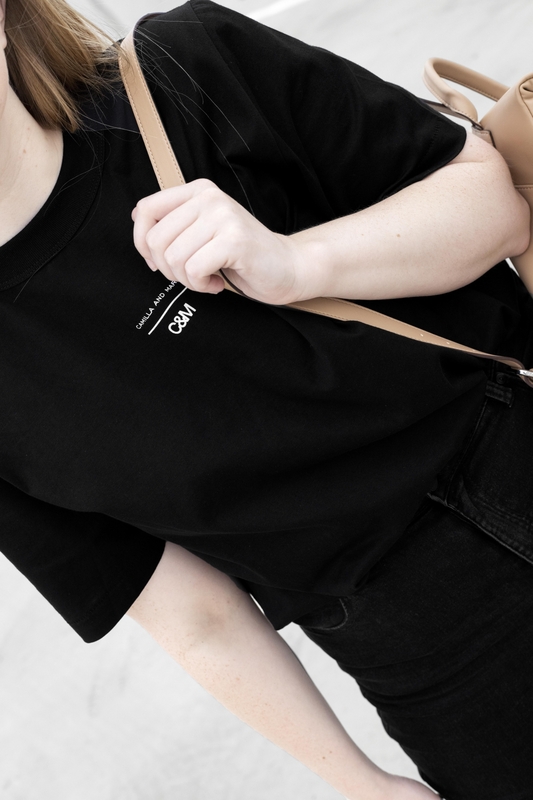 A super easy way to make an all black outfit work is by embracing the logo trend. If you’re late to the party on this one, then I suggest you start investing. 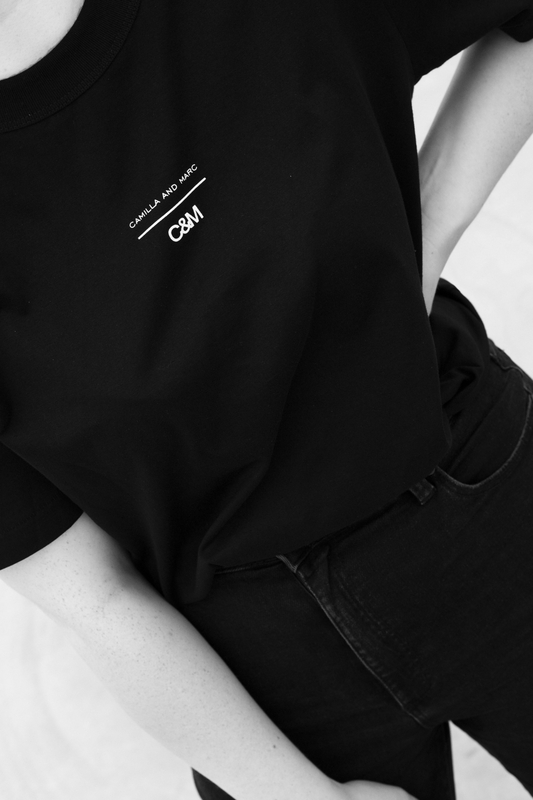 This C&M logo tee adds interest to my otherwise dull outfit, and it looks pretty damn great too. 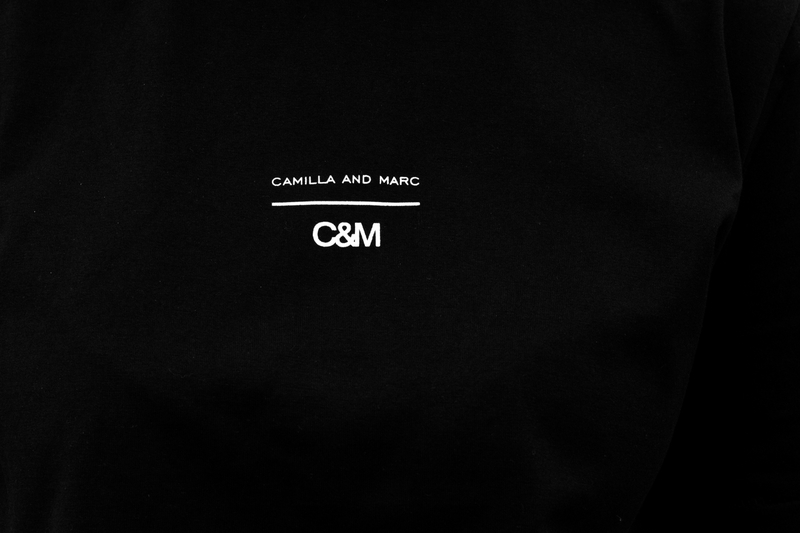 For logo tees, I also invest in brands like Comme des Garçons and Acne Studios for a more subtle logo look. 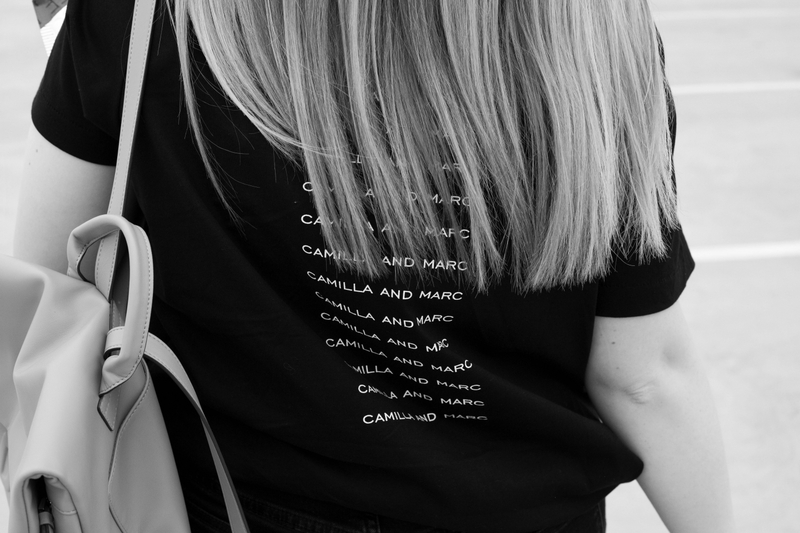 No outfit is complete without them, and for good reason. 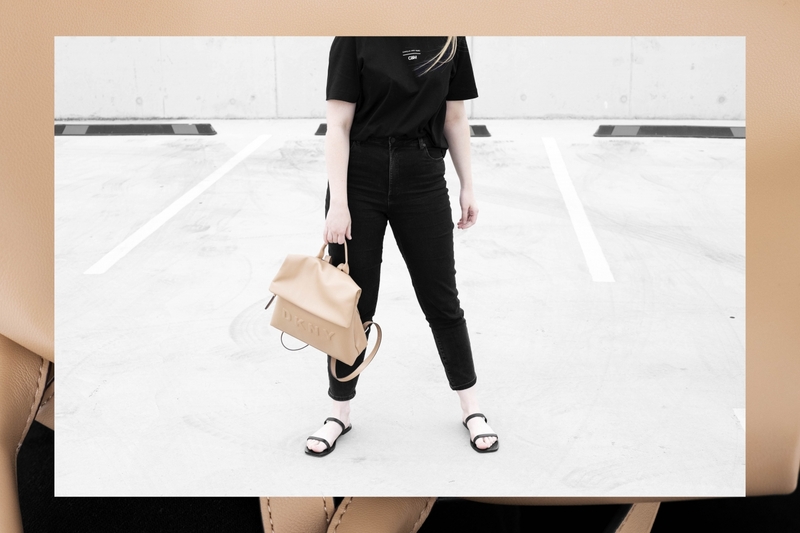 My DKNY bag adds the perfect muted tone to this monochrome look, making it a little more styled. Break up the all black with layered necklaces, crossbody handbags or even belts. If you’re confident in your outfit then that’s going to show. Try different shoes, different accessories and hairstyles until you find something you’re comfortable with and that you think elevates the outfit.